From dreams of being a goal keeper to becoming the head groundsman at one of the world's most prestigious sports venues. We have had the opportunity to ask Keith Kent some of our most pressing questions! Keith keeps a groundsman's diary and has done for 29 years so we were interested to find out what sort of information he keeps within his diary. "Mainly mowing, after games we divot the pitch all day but with the DESO system it's much easier now a days as it doesn't cut up as much but I would say mowing and just manicuring the grass just making sure it's at its best possible". We were interested to know what Keith's aspirations were as a child and believe it or not he always wanted to be a goal keeper! "Aeration - Always keep your pitches aerated (Aeration is the best thing in the world for your pitches). It helps the roots, it helps get away surface water and it's just fantastic for the grass". The games that Keith looks forward to this coming season and every season is "Always the six nations. I love the six nations; I think that's the tradition, England Scotland, oldest game ever in the world. 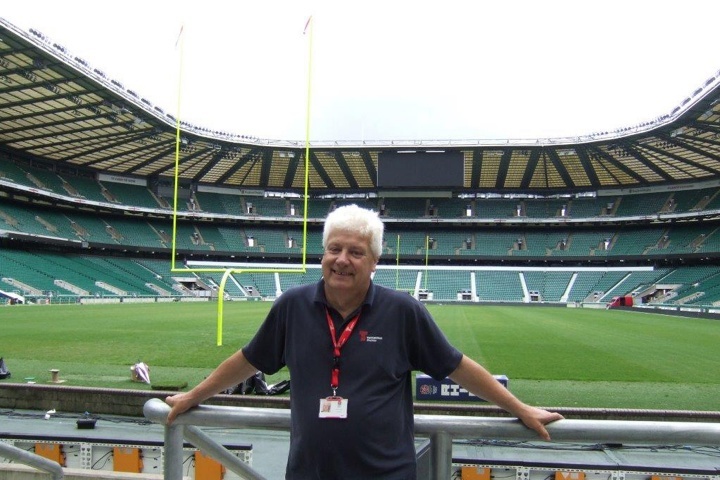 The six nations is my favourite"
Finally we asked Keith, What are the biggest challenges he has faced whilst being head groundsman at such an impressive facility and his answer was inspiring!